While having a lawn or an elaborately landscaped garden may look very appealing, it is not necessarily the most easy to maintain. For those in London who would like to enjoy being in their garden, but perhaps don't have time to do regular gardening activities, paving can be the perfect solution. Alternatively you may wish to part-pave your outside space, to provide a defined section in which to eat outside or host BBQs easily. Furthermore, with fewer and fewer people having the time to commit to doing intensive gardening in their home, paving is becoming an increasingly popular option, and as a result could drastically increase the value of your home if you're looking to sell. Why go for our service? One of the reasons our customers love us is that we offer full transparency in our services; we don't hide any fees, or tack costs on at the last minute. As a valued customer of Handy Gardeners you will also be involved at every stage of the process, our landscapers won't proceed with anything in your garden design project without your say so, giving you complete control over what we do. What is included in our paving service? 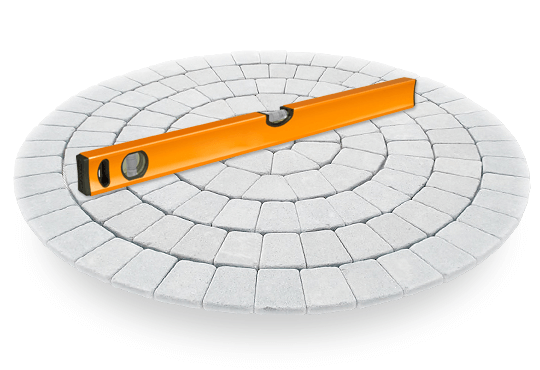 Our London paving specialists are available at any time to discuss your needs. They will discuss your requirements with you extensively before making any suggestions or commencing work. We will always send someone with expertise in paving, to make sure you get the most appropriate information. If you are uncertain about the best options for you, our gardeners can offer suggestions and talk you through what is available, and once you have decided, our landscaping team will draw up a plan for the work, so you know exactly what to expect. Our landscapers can transform your walkways, driveways, patios, pathways and terraces with ease. Whatever your reason, if you wish to have paving in your London home, Handy Gardeners are able to help. To find out more information just call our team. Our landscaping team are available to help you decide what would be best for you, as well as make it happen. And with free viewing and estemating before we get started, you will always know where you stand, allowing you to make the decision that is right for you. You can call any time to enquire about our paving services in London.